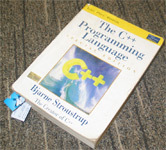 SMILER is an assistant tool that improves our experience of 'book-reading'. SMILER has four major functions. It can hold the book page, making us hands-free. 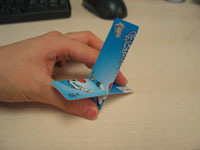 It can be used as bookmarks. 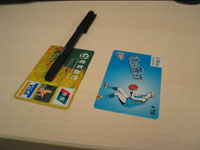 It prevents a pen from droping down the table. 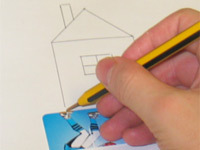 It is a handy tool for drawings straight lines. A SMILER is a simple and effective design that can be built in minutes. 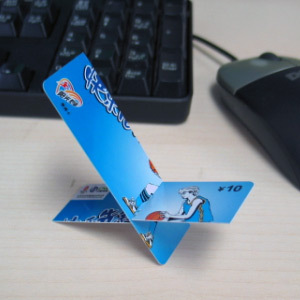 STEP 1 : Find a card, e.g., as an expired bankcard, telephone card, your own namecard, etc. 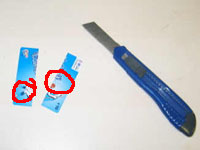 STEP 2 : Cut the card into two pieces with cuts at the specified positions as shown in the following figure. STEP 3 : Join the two pieces together. We invented this SMILER, and gave a presentation to market this design for the project of Oral English course given by Jaclyn at Fudan University, 2003. As in a six-member team, we received five A's grades.